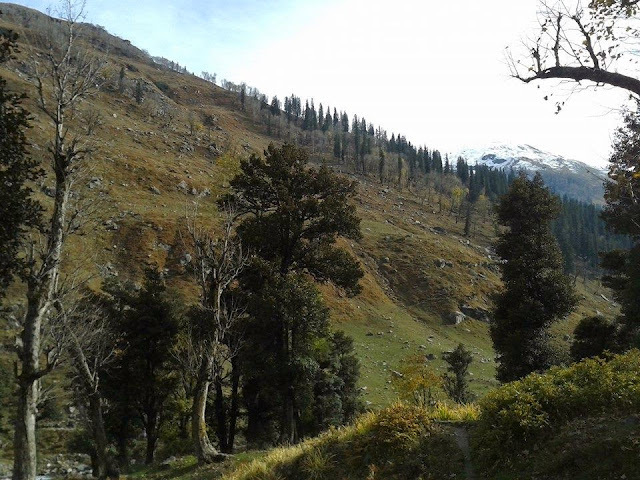 Manali is not only famous for its scenic beauty but also for the number of treks which starts from Manali. For the adventure lovers it is a perfect destination to discover and explore nature. 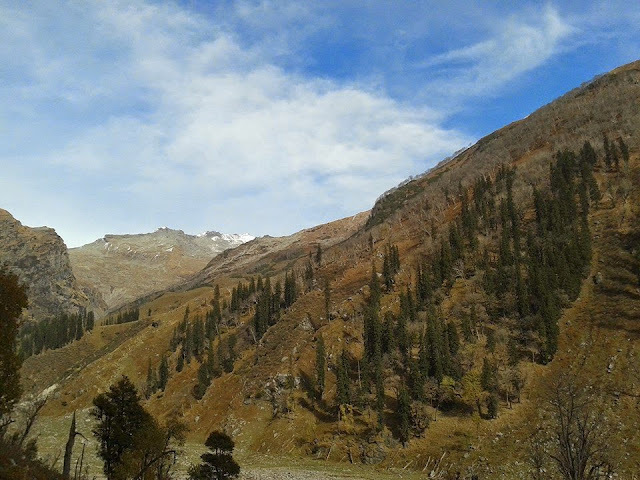 And one of the best and short treks is Manali to Hamta Pass. Manali to Hamta Pass is single day trek but if you want to cover Spiti region and Chander Taal Lake then at least 4-5 days are required. 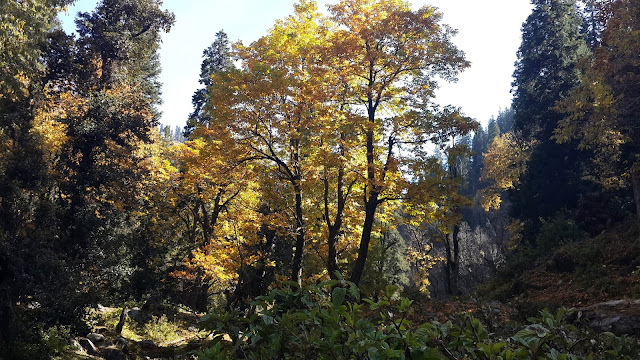 Hamta Pass is at 14380 fts and on the way there is beautiful forest of maple tree and Himalayan Birch tree or Bhojpatra tree in Hindi. Bark of Bhojpatra tree in ancient times used for writing scripture and texts. Earlier there was no road connectivity for Hamta Pass, but after construction of A. D. Hydro Project it is easily approachable by road. Distance from Manali to Hamta Pass is around 20 kms. Road is up to a place called Jobra from where water of river is channeled for Hydro Project. On the way there is a small beautiful village called Sethan where few tea stall are also available. Nearest place for accommodation are Hotels in Manali but you can also get Home Stay option in Sethan Village also. 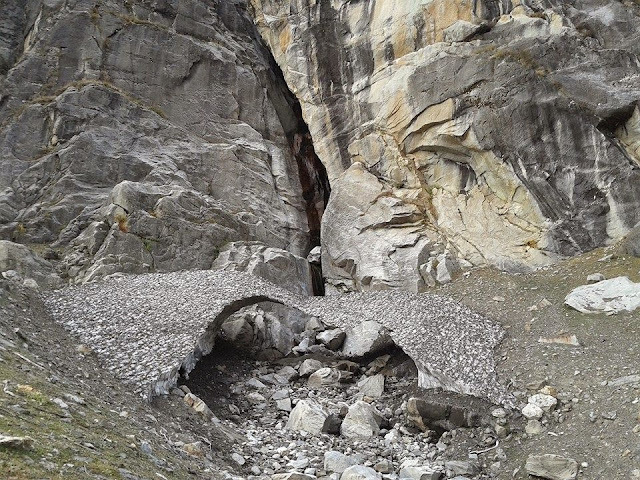 “According to local residents and some books of Himachal Tourism, legend associated with Hamta Pass is that the soul of people travel to heaven or hell on this route. Mount Indrasan is said to be the gateway to the other World. Many people say that they hear happy and sad voices here. Happy voices and trumpets signify that a person is going to heaven whereas the crying sounds signify that the person on the way to hell. Another legend is that Pandavas had sown rice here during exile. That place is called Pandu Ropa and till now you can find these fields there”. 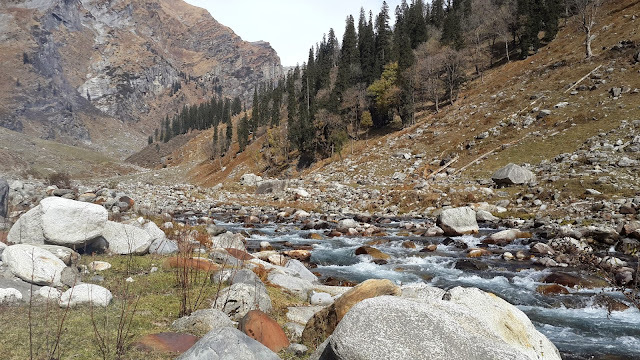 Moving further from Jobra next place is called Balu Ka Gera whose one side is high rock mountain and other side is beautiful meadows and between them a water stream flowing between the mountain and meadows. Balu Ka Gera is best place for camping and spending night here. You can also see lots of shepherd and their flock nearby Hamta Pass and during winter season they move down hill as the road is closed due to heavy snowfall. The slopes of the meadows are perfect for skiing and when road are closed adventure activities lover come here by helicopter and enjoy heli skiing too. After crossing the Hamta Pass, Spiti region begins and geographical condition and atmosphere is totally different. 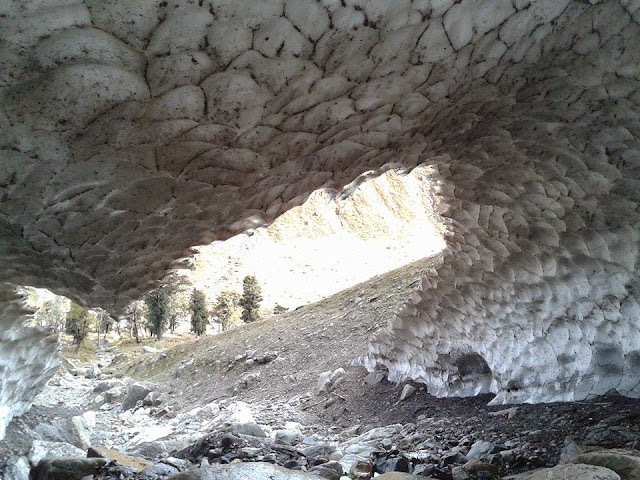 Below are some images of Hamta Pass during autumn season. Hope we will cover the place during winter also and cross the Pass some day.